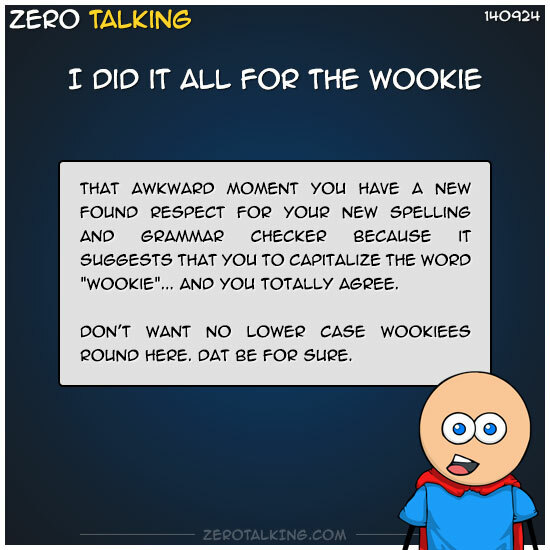 That awkward moment you have a new found respect for your new spelling and grammar checker because it suggests that you to capitalize the word “Wookie”… and you totally agree. Don’t want no lower case Wookiees round here. Dat be for sure.